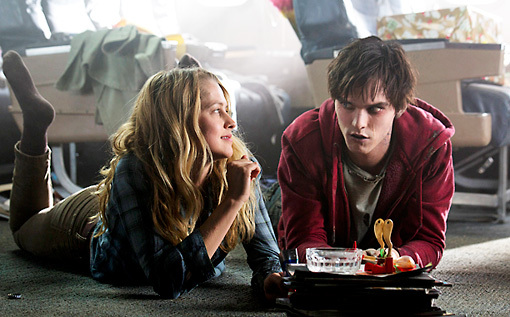 So here is my take on the 2013 film warm bodies, it’s a dramatic twist on the usual scary and ever so gory zombie flicks were seeing nowadays. It’s a Romeo and Juliet spin with a few puns and the occasional bullet ridden zombie thrown in. Of course it has its story line message of LOVE and the power of human connection; well that’s what I got from it anyway. The movie kicks of with “R”. 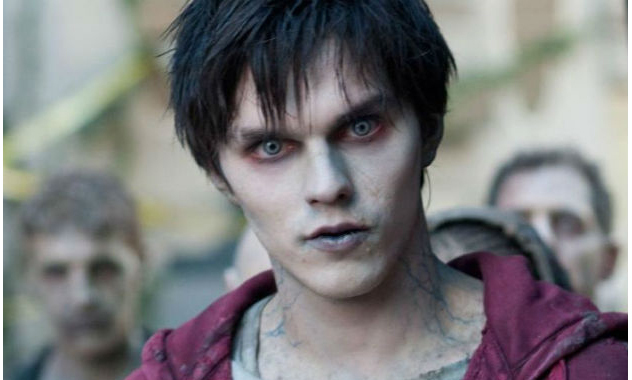 A zombie who chastises himself for staring at people, pokes fun at his own un-dead kind and generally hates his life as a zombie, we follow ‘R’ mostly through third person as he grasps the concept of being a zombie. As the story plays out R and his un-dead flesh rotting horde of zombie friends begin to unravel the key to Life after death in an apocalypse. 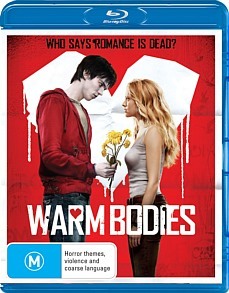 This movie really isn’t a film for the walking dead fans nor is it a film for zombie enthusiast; however it does draw the attention of 13 – 30 yr olds from both genders looking for a feel good action, comedy/romance.